This is one of my absolute favorite desserts; rich, decadent and creamy with just a hint of Vanilla. Creme Brulee is a decadent rich creamy dessert made from custard that has been set, with a hard caramel sugar based topping. 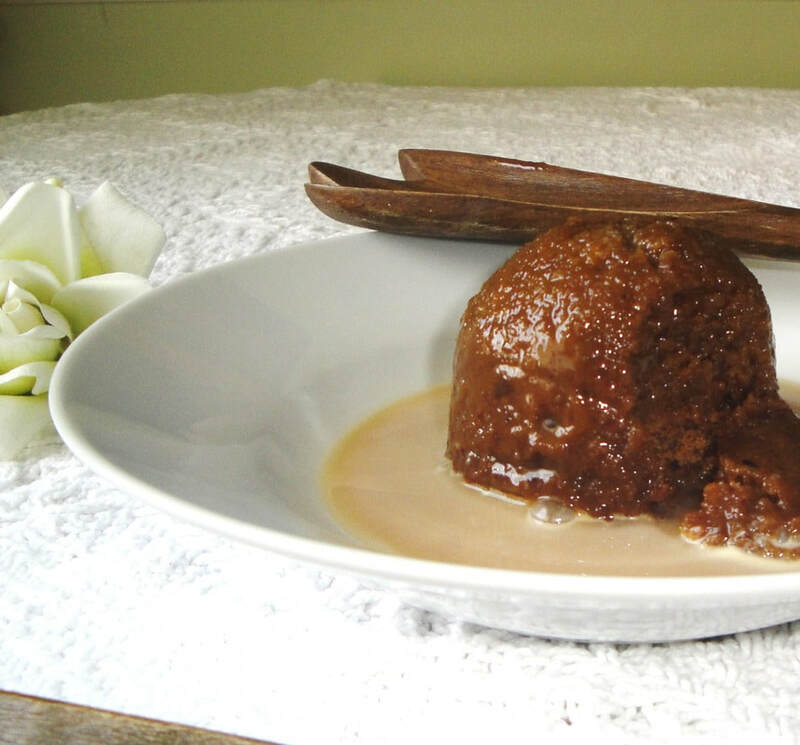 It has been mistaken for a French dessert but its actually an English dessert, originating in Cambridge. The dessert was given a French name; probably to make it sound fancy and appealing, and many online sources claim it as French in origin, but its actually English in origin as many desserts are. 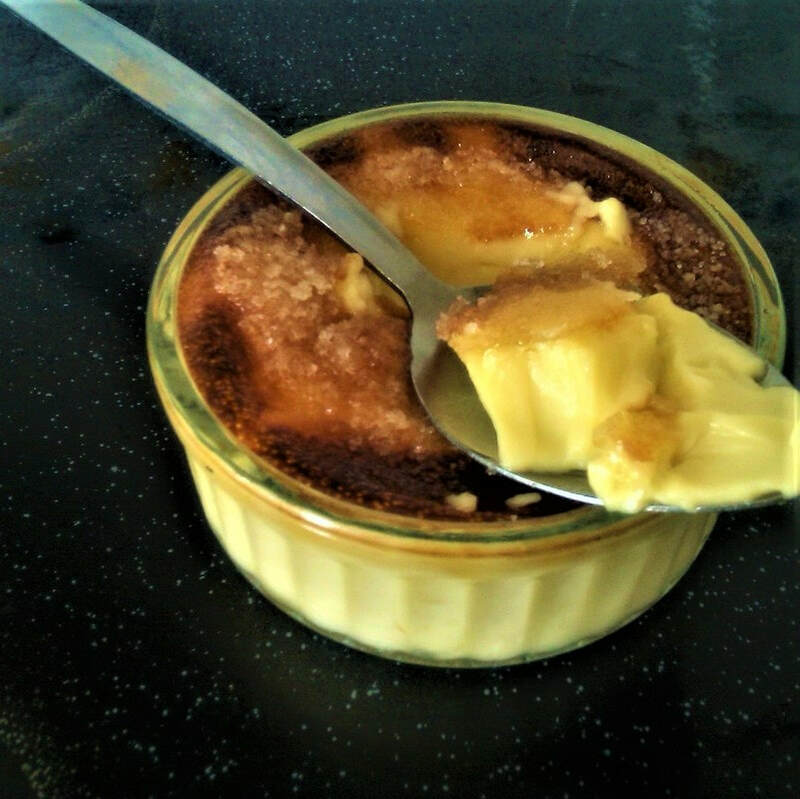 Creme Brulee is actually really easy to make and doesn't require a blow torch you can just harden the sugar on top under an extremely hot oven. If you have a blow torch by all means use it, but I don't want you to feel that you have to go and buy one to make this. Though easy to make, I refused to use the right technique on my initial attempts. I finally got this dessert right when I used the necessary technique of whisking sugar and eggs together. 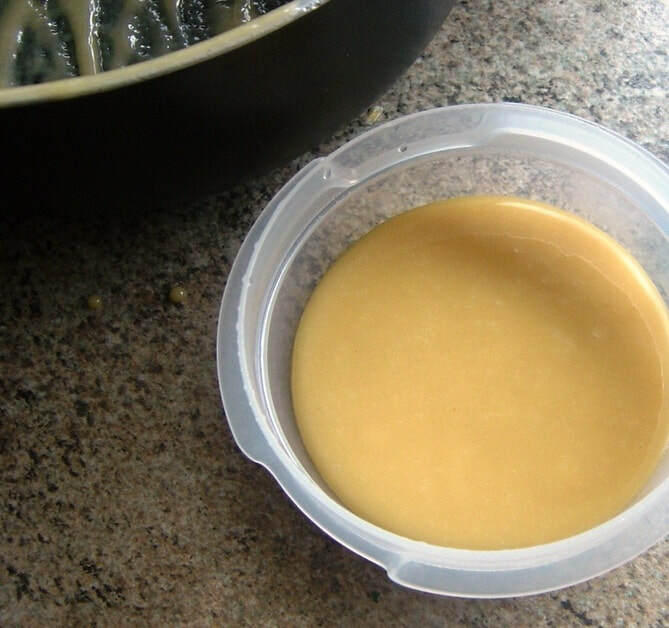 This is the crucial step needed to get the Creme Brulee at the right texture and consistency. ​Add the cream to a pot and bring to a scalding heat, do not boil. Right from the start of heating the cream you need to split the vanilla bean in half and scrape all the seeds out into the heating cream. Also add the whole bean for extra flavor, plus the Vanilla extract and Marsala. Heat the cream on number 6, if it's starts to bubble too much turn it down to 5. Remove the whole vanilla bean before adding to the eggs but leave the seeds. Once the cream is hot add slowly to the bowl of the whisked eggs with one hand pouring the cream into the eggs, with the other hand whisk briskly with a whisk, as you slowly pour in the scalding cream. 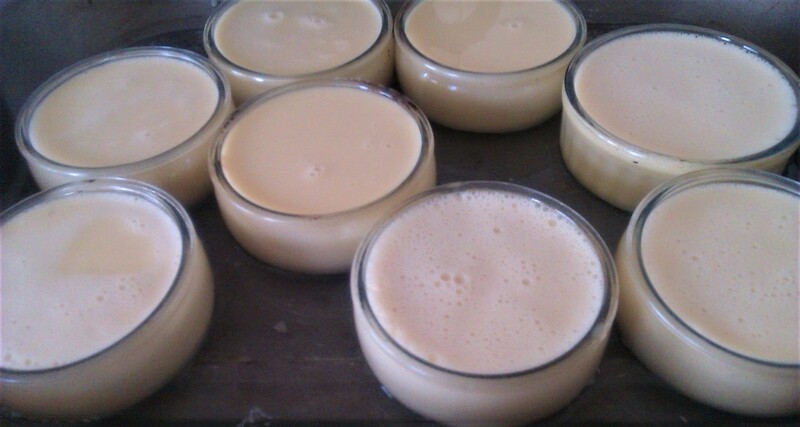 Pour the custard into ramekins I've used small ones, but you can use bigger ones. If you have leftover custard freeze it for another time. Or you can keep it in the fridge for up to 4 days to use for a shortcut recipe. Add the ramekins to a baking tray that can hold sufficient water. Pour so the water reaches just under halfway up the ramekins, so the custards don't dry out. Bake for the recommended time. Allow to cool to room temperature and refrigerate for at least 2 hours before serving. 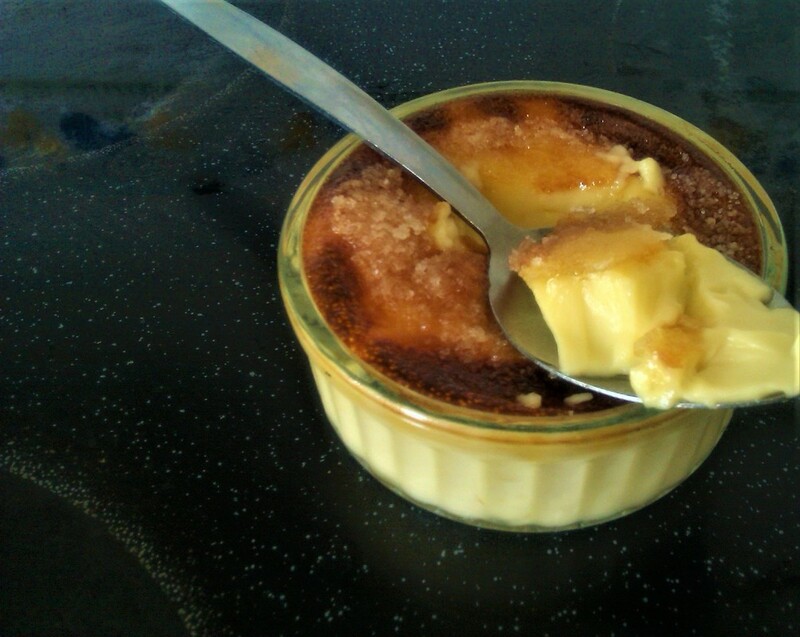 Just before serving; remove from the fridge, sprinkle the sugar on top of the Creme Brulees after preheating your oven to the highest temperature it can possibly get to. Move an oven shelf to the very top. 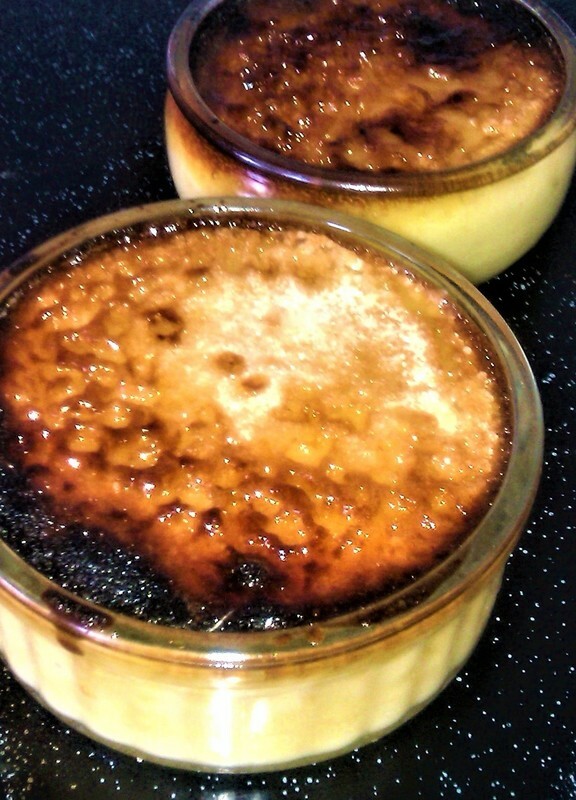 Once extremely hot place the Creme Brulee into the oven for about 7-8 minutes and bake until the sugar has hardened. Test with a spoon it should have a hard topping. Then Serve.